Sunnyside Gold Corp. says it is a conflict of interest to have the Environmental Protection Agency lead the Silverton Superfund cleanup given the agency caused the Gold King Mine spill. Sunnyside is considered on the hook for cleanup costs. 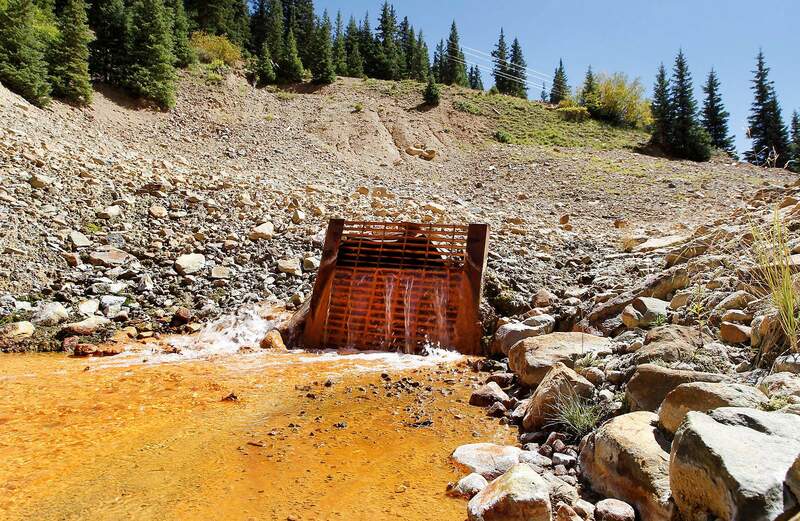 Is it a conflict of interest for the Environmental Protection Agency, responsible for the Gold King Mine spill, to lead the Superfund cleanup of mine pollution around Silverton? The last company to operate a mine in Silverton, which is also possibly on the hook for cleanup costs, seems to think so. Sunnyside Gold Corp. on Monday sent a letter to the acting inspector general for the EPA, Charles Sheehan, asking the EPA be investigated for its part in the Superfund site and ultimately be recused as the lead agency in the cleanup. EPA spokeswoman Cynthia Peterson wrote in an email Tuesday that Sunnyside Gold has been identified as a potentially responsible party under the Superfund law as an owner and operator of the Sunnyside Mine, and that the company’s activities have contributed to significant water quality degradation in the upper Animas River watershed. “EPA will continue to require the company to take actions to ensure that financial responsibility for cleanup is not shifted to taxpayers,” Peterson wrote. Roach also said, “EPA’s application of Superfund as a weapon against SGC is an abuse of power and contradicts the purpose of Superfund, since it has been proven that SGC has only improved water quality in the area,” Roach wrote in an email. The Bonita Peak Mining District Superfund site was declared in fall 2016. Ever since, Sunnyside Gold has challenged the cleanup project. Recently, a judge dismissed Sunnyside Gold’s attempt to scale back the Superfund, which consists of 48 mining sites. Sunnyside Gold owned two of the 29 sites the company recommended be taken off the list. In March 2018, the EPA ordered Sunnyside Gold to conduct an investigation into mine pollution, believing the company’s operations have significantly altered the groundwater system and, as a result, have caused other mines to discharge waste and contaminate the headwaters of the Animas River. Sunnyside Gold, which closed the last operating mine in Silverton in 1991, is seen as the largest “potential responsible party” – a term EPA uses for companies that could be on the hook for cleanup costs. Sunnyside Gold operated the vast Sunnyside Mine network for just six years but has since performed millions of dollars worth of cleanup projects over the years. The company is now owned by international mining conglomerate Kinross Gold Corp. Despite past cleanup efforts, Sunnyside Gold is wrapped up in the biggest mystery of mine pollution in the Animas River headwaters. Many believe bulkheads the company placed in the 1990s to stop drainages out of the Sunnyside Mine have backed up and now caused other mines to discharge potentially toxic water. The move was an agreement with the state of Colorado that released Sunnyside Gold of its liability under the Clean Water Act. One of those sites is the Gold King Mine, where in August 2015 an EPA-contracted crew was working on a cleanup project and accidentally caused a blowout, sending 3 million gallons of wastewater down the Animas River. It’s unclear where the EPA is with its search for potentially responsible parties, other than with Sunnyside Gold and the current owners of a former smelting company that recently paid nearly $1 million for cleanup costs. Roach said Sunnyside Gold “would be open to any number of agencies that don’t have EPA’s track record of failing to act in a neutral manner” taking the lead in the Superfund.